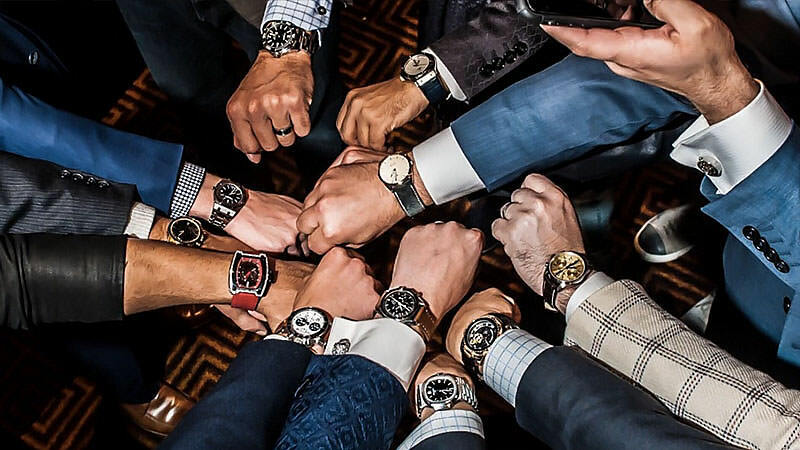 A great watch does more than tell time; it boosts the appeal of workwear attire, adds a bit more to a simple t-shirt and jeans and is an annotation of your own style. It seems like we are always on the hunt for not only staple watches but also for fun, novel timepieces that are great for changing your wristwear up. Baselworld is a significant event for the watch industry, showcasing some of the most appealing models and brands. The newest watches featured by the exhibitors are exciting and appealing; these are watches that withstand the test of time and are renowned for their high quality and reinvented aesthetics. To celebrate, we’ve compiled fifteen unique men’s watches to look out for at Baselworld 2016. 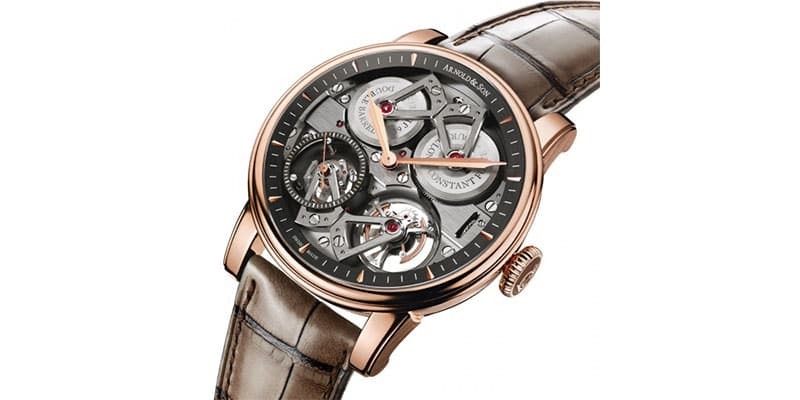 The Arnold & Son brand has been esteemed since 1764, a featured brand in traditional English watchmaking. The Constant Force Tourbillon is visually timeless and sustains technically superlative features. 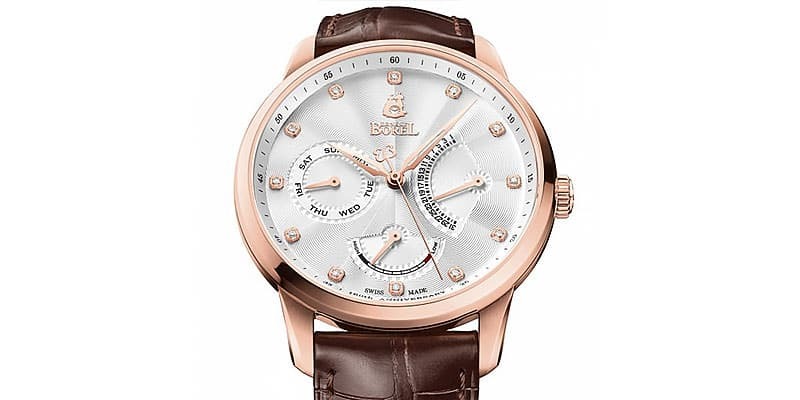 The bold watch is equipped with a constant force mechanism and true beat seconds. Mechanical hand-wound with a 90-hour power reserve, its utility is matched with well thought out materials. The strap is patinated brown bottier alligator and is hand-stitched, lending to the quality of the timepiece. Further, its case is in red gold and also features a domed sapphire crystal with multi-layer anti-reflective coating on both sides. 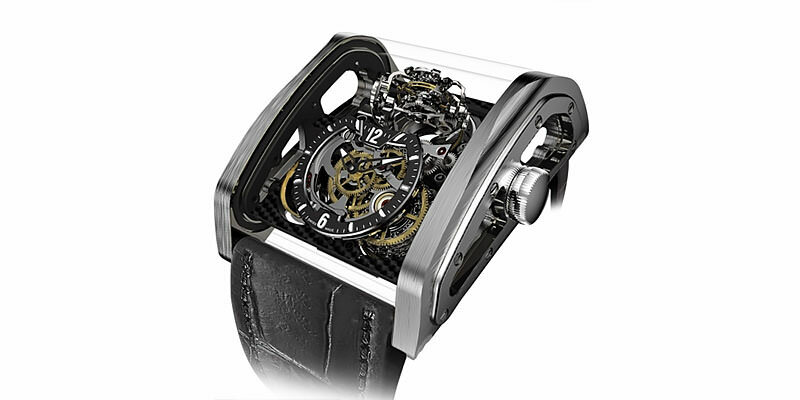 The Triple Axis Tourbillion by Cabestan is mechanically hand-wound, possesses a chain constant force mechanism and triple axis flying tourbillon with three rotational speeds. With its high quality alligator strap, the model comes in different versions, like the 18K pink, yellow or white gold, titanium and platinum. Its 50-hour power reserve also comes in handy. 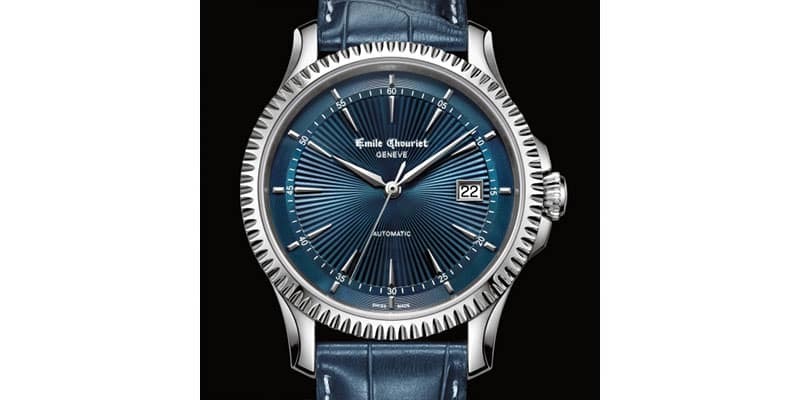 Cabestan has also produced a unique case with this model – it is a hand polished sapphire tube made as a single block. 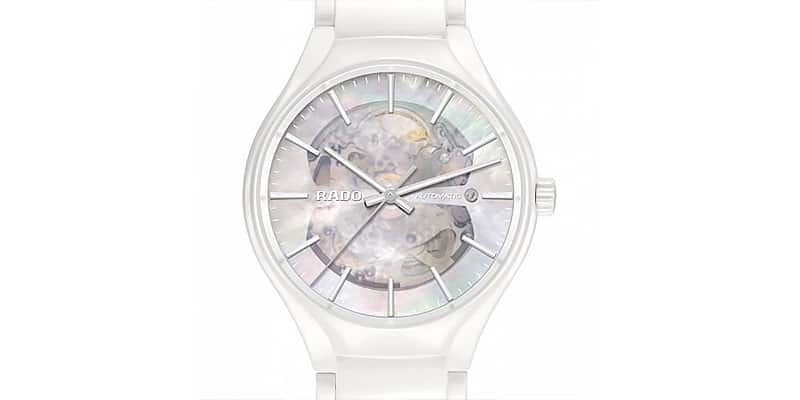 This timepiece from Rado Switzerland is entirely clad in high-tech white ceramic. Its novel material is not just for looks. Despite being incredibly light, it is five times harder than steel. The simplistic design of the watch is flaunted through its minimalist lines and is well suited alongside the mother-of-pearl dial. Truly unique, this timepiece is not for those seeking something traditional or typically expected for wristwear. It is certainly for those who appreciate interesting materials in simplistic and minimalist designs. The watch is true to the vision of its brand’s approach to timepieces, which is to produce watches through modern technologies and detailed research. GC have reinterpreted the famous words of poet Paul Eluard when he quoted that the earth is blue like an orange. Sporty and futuristically inspired, the GC-3 Papaya mixes the richness of a deep ocean blue along with the highlighted electric orange of its bright dial. 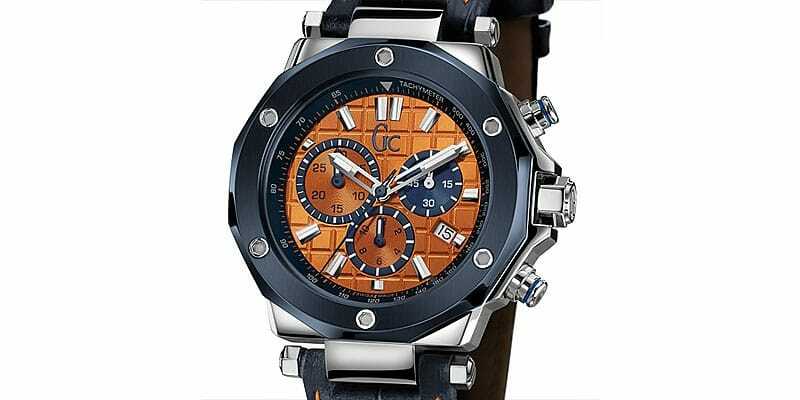 The vivid colour combination is continued with its strap, which flaunts crocodile-patterned blue leather with orange seaming. A sturdy stainless steel case lends to this model’s reliability. Described by the brand as a true style signature, this model is a cool option if you are all about bright hues and graphic shapes. The Tourbillon Skeleton Earth is interesting because the collection to which it belongs embraces the theme of the four elements. The natural steel with blue accents references water, whilst the pink gold and brown tones lend themselves to the element of fire. 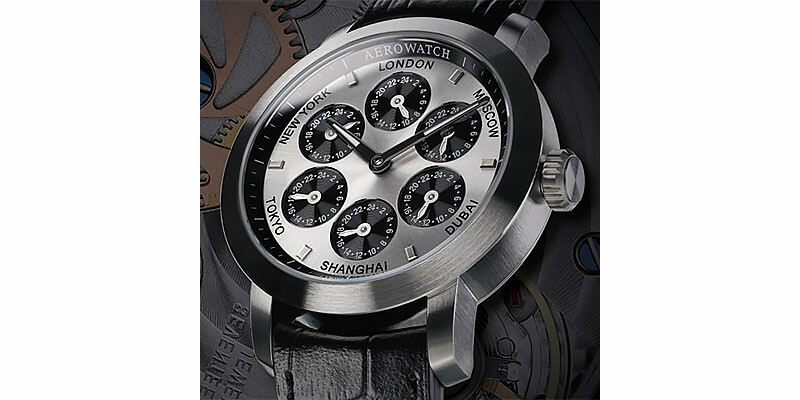 For air, lighter titanium was utilised and finally, the version in black PVD-treated steel plays on the element of earth. Coupled with the black hornback alligator leather featured in its strap, this wristwatch is true to its brand’s attention to detail. 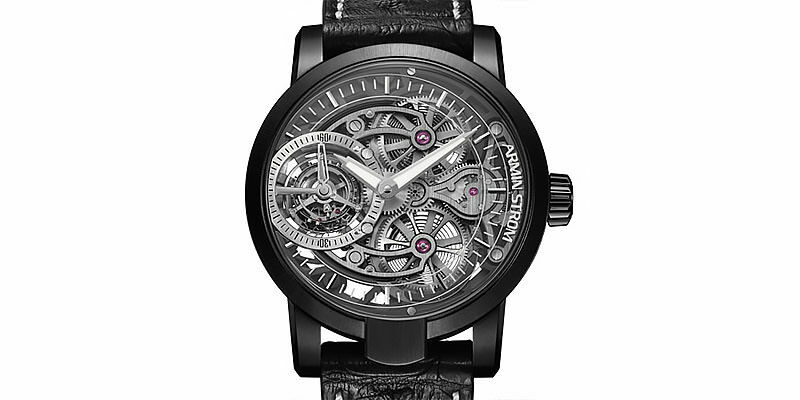 Whilst its look is undoubtedly detailed, the Armin Strom brand continues to focus on what they consider is the most important part of any watch- its movement. Whilst other watch companies tend to pay tribute to the tradition of classic white and yellow gold and gold composition of their timepieces, Oris have playfully reinvented one of their latest models. 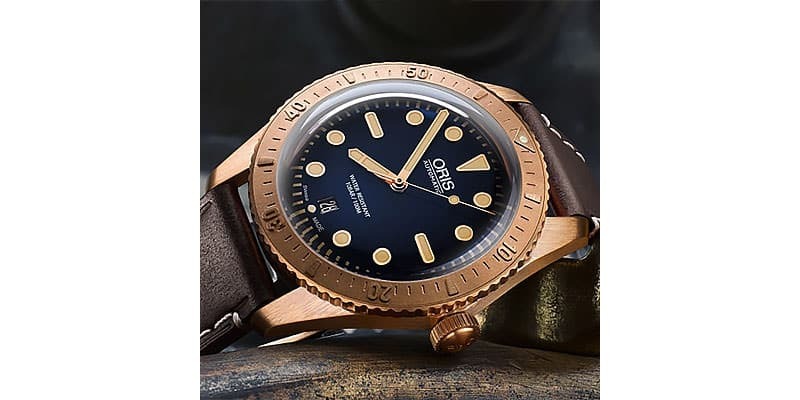 The Oris Carl Brashear Limited Edition watch is noteworthy for its focus on bronze as its signature tone. The bronze is perfectly matched with the dark brown leather and a bronze pin buckle as well as the midnight blue dial with superluminova-coated pink gold-plated hands and hour-markers. The watch is also a tribute to the US Navy’s first African American master diver. Not to be forgotten is this company’s playful references to the history of deep sea diving. Its utility is also incidentally water friendly, boasting water-resistance to a depth of 100 meters. The Soleos inspiration lies in ancient mythological references. Emile Chouriet was inspired by the Roman sun god, Sol and the Greek goddess of the dawn, Eos. What was achieved by such an inspiration? Two different versions of the dial – one is a luminous blue and the other, an intense white. The watch face’s central sunburst guilloche motif continues the mythological references and the brown or blue alligator straps available further lend to this watch’s dimension. The other great thing about the model is that it is aesthetically centered on reflections. 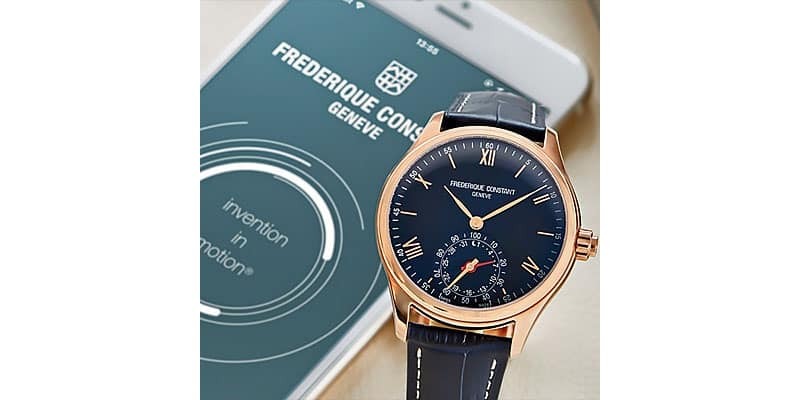 The Fredrique Constant brand have combined sleek classic design along with the latest technology in this new model. The Horological Smartwatch tracks your daytime activity and sleep patterns, powered by the MotionX platform. The polished pink gold-plated steel case is also complemented by the rich navy face of this watch. Teamed with the blue alligator strap with folding clasp, this certainly isn’t any expected smartwatch. This model also has a strong autonomy and runs for two and a half years without the need to be charged. This clock’s nifty alarm function is also handy. 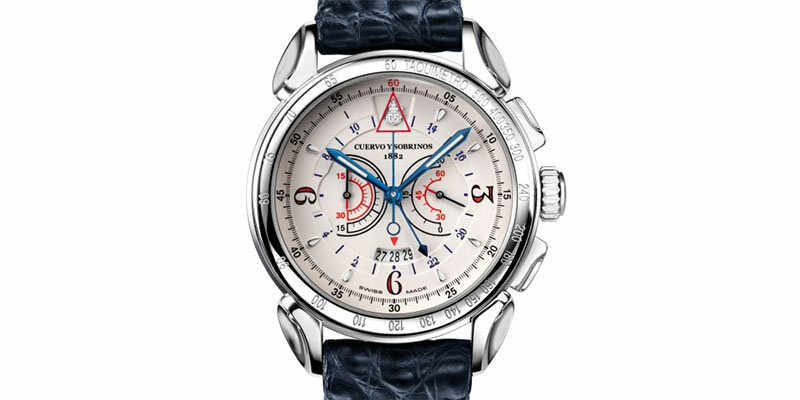 The Historiador Vuelo watch is appealing because it is a revived version of one of the company’s historic models. Whilst the watch is aesthetically influenced by the past, the brand has reconciled classic elements with modern features. 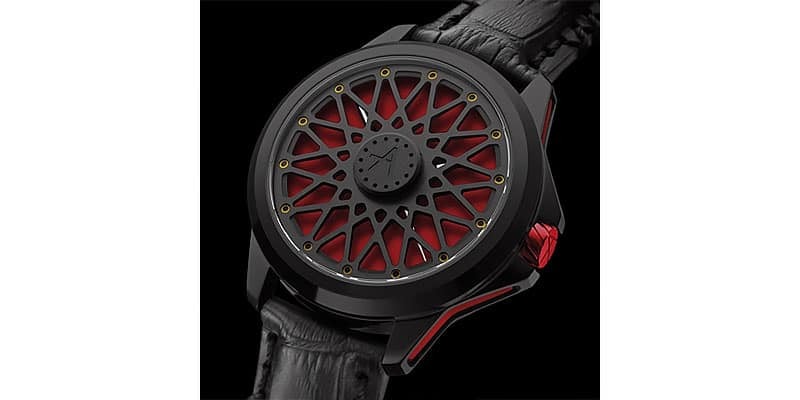 You will also notice this watch has highly complex construction. An ivory dial with luminescent hands completes this timepiece, lending a versatile vibe. Overall the watch is historically ambiguous, you can’t really determine which decade it comes from, given it borrows different elements from different times. This Race watch’s optical effect of transparency is a playful feature that Artya has cleverly incorporated. The vintage look of the watch is also a noticeable signature. In fact, the watch was inspired by the NASCAR races which emerged in the 1950’s in the USA, further lending Americana vibes to the timepiece. Described as visually powerful without compromise, the watch’s durability is equally as sturdy, boasting a stainless steel case and carbon fibre dial. This watch won’t just tell you the time, it will also give you the time of seven separate time zones, all at once, namely London, Moscow, Dubai, Tokyo, Shanghai and New York. The latest Renaissance 7 Time Zones watch from Aerowatch is highly legible and boasts rhodiumed “Cotes de Geneve” decorations, circular graining and blued screws. The case is satin-brushed, with cambered sapphire crystal and transparent caseback and is water-resistant to 50m. The sunburst brushed silver-toned watch face also features a satin-brushed ring and white minute track. 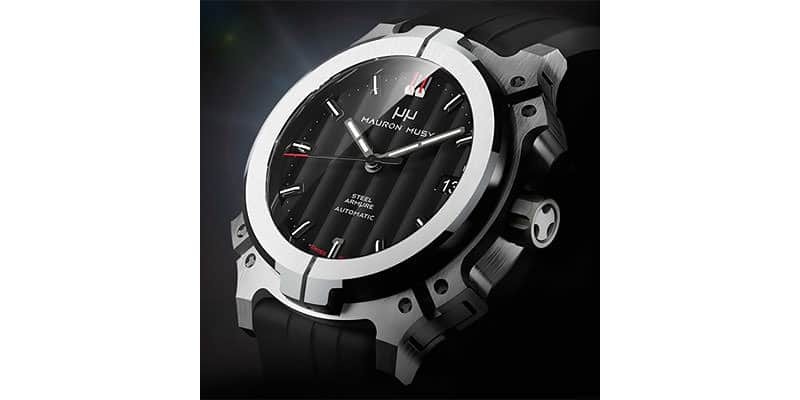 Inspired by the sealing systems used in mechanical engineering, Mauron Musy has incorporated such innovations to their watchmaking. The result of such innovation is that the Classic Steel Armure is devoid of any screws, glue or joints that require replacement during maintenance services. The model is also water-resistant to 100 metres and watch maintenance involves just one movement service every seven years. The black and silver combination of the timepiece lends to its modern edge, highlighted by the scarlet accents on its dial. 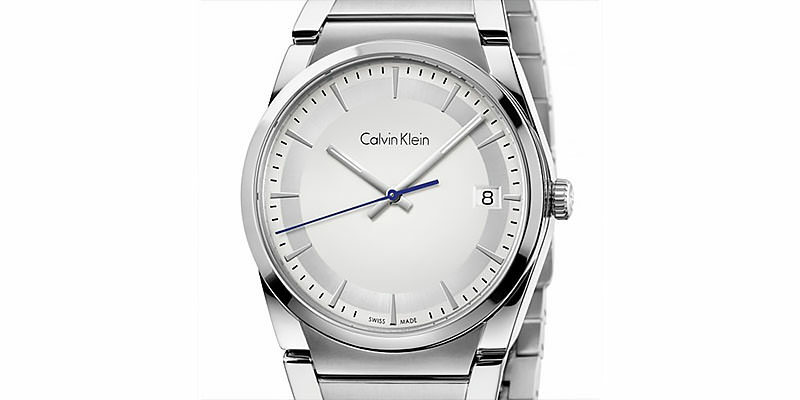 Inspired by urban architecture, the Step watch from Calvin Klein is minimalist and classic which is true to the aesthetic of the CK brand. The different tones that this watch comes in were the various interpretations of the model that the brand was inspired to produce. Playing on contrasts and combining various materials, this model is sporty with a timeless appeal. The polished and brushed 316L stainless steel dial with sapphire crystal is also a neat touch, playing on the pure metallic features of the watch. 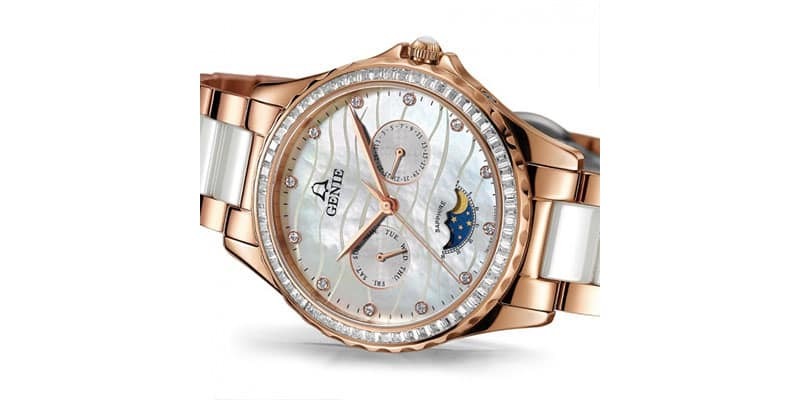 If it is a highly adorned watch you’re after, the Genie Mother of Pearl fits the bill. With a mother-of-pearl dial alongside a wave motif and hour-markers in Swarovski crystals, this watch is anything but simplistic. The pink gold PVD-coated stainless steel bezel is also framed by 60 Swarovski crystals. Day and date indications also lend to the utility of the model and the moon phase function is also handy.